Garage doors installations in Allentown, NJ consists of several steps and processes. It all starts with the need for a new garage door or replacement. We consult you every step of the way from color, to price to insulation. Each other spec adds a new benefit to the customer. Nonetheless, it is always the customers end choice to decide what type of overhead door they are looking for. 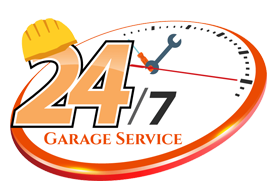 WHEN DO I NEED A NEW GARAGE DOOR IN ALLENTOWN NJ? A broken, dirty and beat garage door can look horrible. Add the fact a front facing door can take up to 20% of the whole property size. Having a beautiful clean and new functioning door is not only convenient for entrance In and out of the property it also adds beauty to the house. When selling your house make sure your garage door is replaced and looks up to date. Handyman garage doors is here to help you do this.